The promoter of Jeju Dream Tower, a new resort with foreigner-only casino that is being built on the South Korean holiday island of Jeju, has shifted its language when describing progress of the project. “At this stage, we are trying to complete the construction by the end of 2019,” said Lawrence Teo, vice-president and chief operating officer of the scheme’s leader, Lotte Tour Development Co Ltd, in an email to GGRAsia. 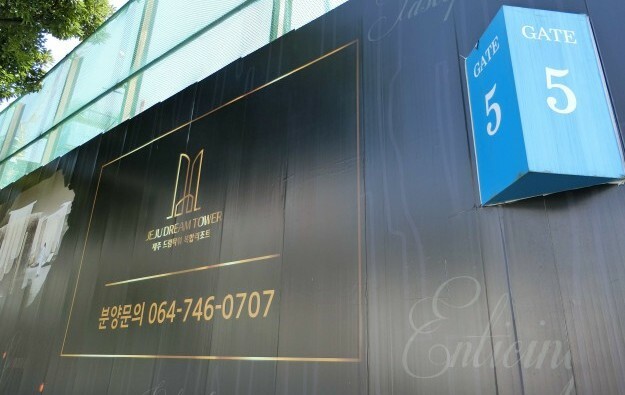 In August the company had said in an announcement about an associated rights issue, that Jeju Dream Tower was scheduled to open by October this year. The construction of the Jeju Dream Tower began in May 2016. Its 38 floors will make it the tallest building on Jeju. The complex site (pictured in a file photo) is – according to previous announcements – to house a Grand Hyatt-branded hotel as well as a casino and other leisure facilities. Lotte Tour will own and operate the facilities on 59 percent of the gross floor area of the Jeju Dream Tower. Lotte Tour will have 750 hotel rooms, 11 restaurants and bars, shops, an observation deck and the casino facilities. A second portion of the project involves creation of 850 apartment-hotel rooms. Jeju’s subtropical climate and proximity to China have made it a popular destination for mainland Chinese tourists. Such visitors are thought to account annually for a large portion of the island’s inbound tourists. According to data for the first half of 2018 from the Jeju Self-Governing Province Tourism Association, cited in a research paper in July that year, trips by mainland Chinese to Jeju accounted for 257,177 visits, or 52.6 percent, of all inbound overseas tourists to the island during the period. Chinese consumers are a key target group for casino resort developers in the Asia-Pacific region and globally. In recent years there has been a significant expansion of investment in casinos on Jeju – all of them, under South Korean law, open only to foreigners – including Jeju Shinhwa World. 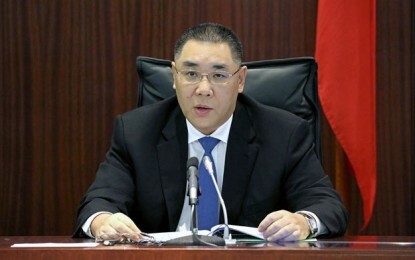 The casino portion of that project opened on Jeju in late February last year, after a gaming licence from another Jeju property controlled by the promoter, Hong Kong-listed Landing International Development Ltd, was transferred to the new venue. In September last year it was reported that the Jeju government – which as a semi-autonomous authority is allowed to regulate gaming on the island – was mulling barring licence transfer from an existing casino property to any new scheme.